Ruttman studied architecture and painting and worked as a graphic designer. His film career began in the early 1920s. 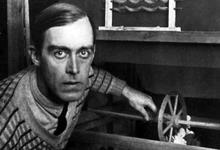 He is considered as one of the pioneers of abstract cinema (Absoluter Film) with the film Oups I (1921).